We all learn in different ways. Research by Howard Gardener has demonstrated that there are 8 distinct ways to approach and integrate learning, with schools mostly exploring 7 of these (you will notice that Naturalistic is not in our image below, as this is not often drawn upon in schools). 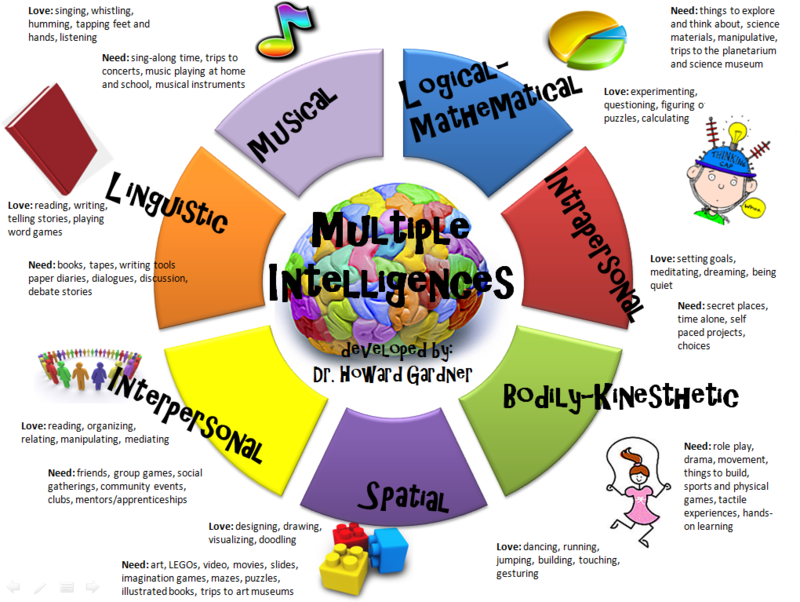 In Holm's GT program, I utilize the framework of Multiple Intelligences to help every child learn in the way that is best for them. Take time to notice your own child's learning style: in what ways is learning easy, and in what ways is it more challenging? Knowing and understanding your child's learning profile will allow you to help us best meet the needs of your young learner.